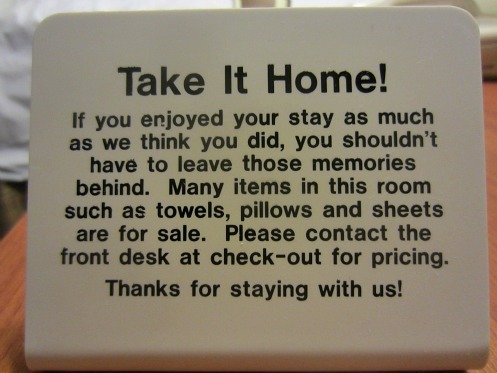 I get it: Motels can’t just come out and ask guests not to steal the towels and linens, and museum directors need the kind of job security the late Peter C. Marzio enjoyed before they can bluntly say, “We’ll never be the Met,” and “Houston will never be New York,” as Marzio told me on several occasions. Forget New York. Having visited museums across the country for the last two-and-a-half months, I can only think of a handful of galleries as you’ve-got-to-be-kidding-me bad as the one in which Tinterow sat giving Houston the last thing it needs, another soothing, self-esteem-boosting pep talk. Yes, it’s a meet-the-director message on a website, and yes, museum directors have to be civic boosters, but cheerleading is one thing; cognitive dissonance is another. I’ve got my eye on some very important works of art that I hope we can attract to the museum either as loans or as acquisitions. I hope to be able to maintain the same high level of exhibition programs and educational programs that Peter Marzio and the staff and trustees have maintained all these years. I have ambitions for Tinterow’s ambitions. I’ll outline them in an upcoming post.